A propulsive novel of World War II espionage by the author of The Glass Room. Barely out of school and doing her bit for the British war effort, Marian Sutro has one quality that makes her stand out-she is a native French speaker. It is this that attracts the attention of the SOE, the Special Operations Executive, which trains agents to operate in occupied Europe. Drawn into this strange, secret world at the age of nineteen, she finds herself undergoing commando training, attending a "school for spies," and ultimately, one autumn night, parachuting into France from an Royal Air Force bomber to join the Wordsmith resistance network. But there's more to Marian's mission than meets the eye of her SOE controllers; her mission has been hijacked by another secret organization that wants her to go to Paris and persuade a friend-a research physicist-to join the Allied war effort. The outcome could affect the whole course of the war. 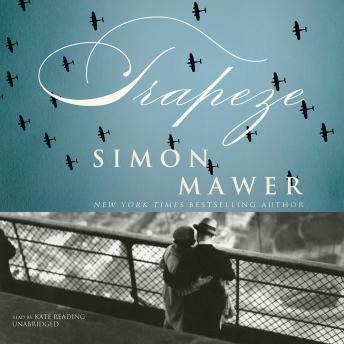 A fascinating blend of fact and fiction, Trapeze is both an old-fashioned adventure story and a modern exploration of a young woman's growth into adulthood. There is violence, and there is love. There is death and betrayal, deception and revelation. But above all there is Marian Sutro, an ordinary young woman who, like her real-life counterparts in the SOE, did the most extraordinary things at a time when the ordinary was not enough.